Flowers are perhaps the most delightful and uplifting expression of the natural world. They brighten up surroundings, inspire art and poetry, and help to convey feelings when the right words can be hard to find. But flowers have an even greater gift – the healing ability to restore mental and emotional harmony through their essence. Here are eight popular flower remedies to boost your wellbeing naturally. Are you struggling to let go of the past? Do you feel nostalgic for happier times? Honeysuckle flower remedy is excellent for those who find it difficult to be present because they are focused on the past. The remedy will help dissolve the intense feelings that come with regret, sadness, homesickness, divorce, bereavement or loss of any kind. 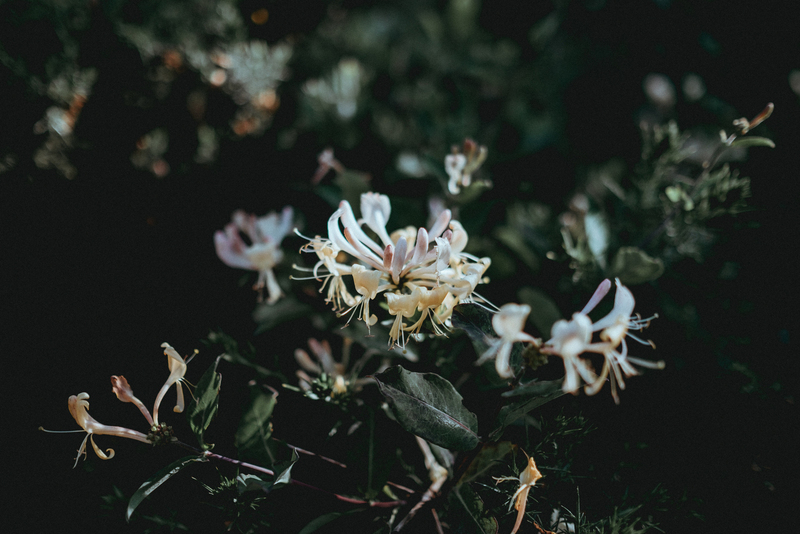 If you feel that happiness can only be found in the past, honeysuckle will help you accept and let go of nostalgia so that you can begin to feel joy in the present moment. Do you drink several cups of coffee in the morning to help you get going? Do you feel like you just don’t have enough strength to carry out everyday tasks? If you’re feeling mentally tired, even after a good night’s sleep, and find it takes you a while to feel motivated, try hornbeam. This remedy acts as a strengthener for mind and body, and encourages a feeling of vitality to ward off staleness and procrastination. If you’re putting on a cheerful face to the outside world, but feel like you’re going through hell on the inside, agrimony could help you express your true feelings while restoring inner peace and harmony. This remedy is for when you’re feeling downhearted or slightly pessimistic and are struggling to see a positive outcome. Gentian will give you a gentle lift to raise your spirits. People who find themselves undone and dejected by seemingly small hiccups or are slaves to their inner doubter could find gentian will help to regain their confidence and sense of their own ability. If you’re a daydreamer with your head in the clouds, and think more about the future rather than being in the present, clematis can bring you into the here and now and help you to concentrate. This remedy is also beneficial for creative people with overactive imaginations who find it difficult to be attentive, grounded and ‘in the moment’. Are you a perfectionist? Perhaps a bit fanatical? Do you struggle to listen to and consider other people’s viewpoints? Do you throw yourself into everything you do with far too much effort that only leaves you drained? Vervain will help you relax and realise that it’s not up to you to fix everything or change things or other people to suit your ideals or beliefs. This remedy helps you to restore balance and encourages you to enjoy life without always feeling the need to be active and perfect. Pine is good if you tend to blame yourself and feel guilty for a situation that’s not your fault. You may say ‘sorry’ a lot, even when there is no need to do so. This remedy helps you to restore a positive sense of self-worth, to know when you’re not to blame, to acknowledge any faults without dwelling on them, and to put right any wrongs where possible knowing that you have done your best. For any traumatic situation, distress, accident or unexpected bad news, star of Bethlehem is an effective remedy. If this essence is given immediately after experiencing shock, it will greatly assist in recovery. This remedy is also effective for people experiencing loss or emptiness after losing a loved one and can bring a sense of much needed comfort. This article was originally published in Issue 7, Breathe Magazine – Renewed Light.